With 4 adjustable back support positions (from 22.5" to 25.5"), you can easily pick the most comfortable one according to your height. Large 2.5" caster wheels ensure extra stability and smooth gliding. Under the maximum weight load, the ball will slightly sink in the frame. 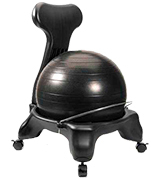 The Isokinetics ball chair is a great alternative to office chairs since it ensures a proper anatomic sitting position at work. You can either move the backrest close to your spine for a sturdy support or push it back for a better control of your posture and muscle work. Select the frame shade and choose the ball color to suit the style of your office. The ball boasts a static strength of 2000 lbs and is made of extra dense and strong material that makes this chair one of the most durable and wear-resistant models out there. 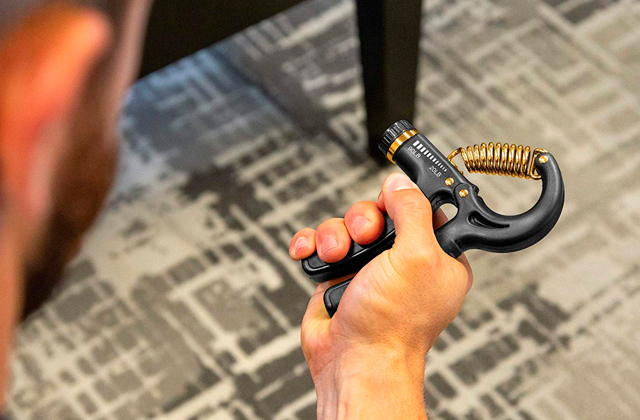 Easy-to-trigger locking feet can be accidentally unlocked by foot. If you look for an effective solution to sit in a right way and avoid so-to-say harmful sitting habits, the LuxFit Premium Fitness Exercise Ball Chair will perfectly fit the bill. Not only will it help you sit in a healthy position but also it will provide every comfort you expect from a quality office chair. Moreover, you can use it either as a regular chair for sitting or as an implement for training. A detachable backrest gives you an opportunity to sit with a strong support to your spine or without one, depending on your own preferences. For better performance, a new ball requires a rather frequent inflation. Developed in collaboration with chiropractics, the Gaiam stability ball chair will help you alleviate the pain in you back, legs and arms caused by long-time sitting. If you spend hours working at your desk, this model is for you! Made from safe materials, the chair looks stylish and modern. The model is available in 9 vivid colors and is perfect for people up to 5'11" tall. Two metal ball holders will perfectly hold the ball to prevent shifting or sinking for secure sitting in a healthier and comfier position. It's rather difficult to inflate the ball to the maximum diameter. Though it comes without a backrest, sitting in this classic exercise ball chair stimulates micro movements, keeping the muscles of your body in constant strain. It's easy to keep the balance on this model. The balance ball chair is offered in a variety of colors to choose the one that will best suit your taste. An adjustable ball diameter (from 27.5" to 33.5") allows you to adjust a sitting height and a muscle load to perfectly suit your height. People up to 5' tall might feel uncomfortable when sitting at a standard desk. 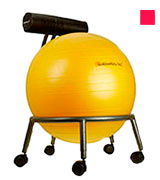 An excellent exercise ball that will come in handy both for sitting and for intensive workouts. It's firm and durable enough to be used instead of a conventional chair, yet flexible and well-balanced to keep your backbone muscles engaged while you are working. A neutral gray color will blend with any interior. The Isokinetics fitness ball chair offers a different sitting experience than a conventional chair. This stylish and comfortable piece of furniture is a real catch for those who want to spend their time at work healthily, especially when it’s a deskbound job related to multi-hour sitting. 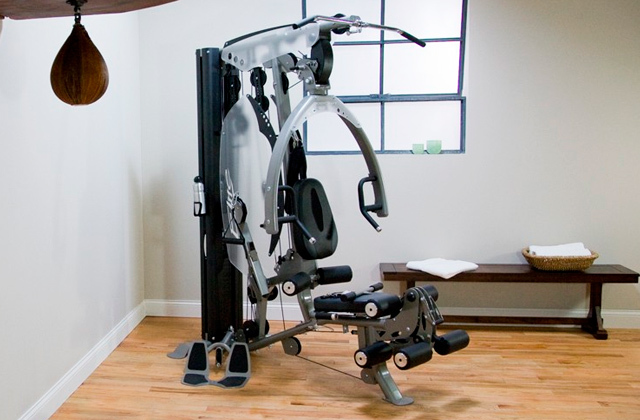 The Isokinetic chair will force you to sit up straighter, promoting flexibility, coordination, and core strengthening. A robust steel frame securely holds the ball, requiring no extra effort from a sitter to keep the ball in place. Designed with safety in mind, the ball is made of a highly durable non-latex material preventing bursts that might cause injuries. If punctured, the ball will slowly deflate. The frame rests on 5 sturdy legs equipped with wide rolling wheels that make this chair mobile. The hooded casters ensure smooth and easy gliding on all types of flooring. For the ultimate user convenience and comfort, there is a back support with a backrest of beaded polypropylene foam. 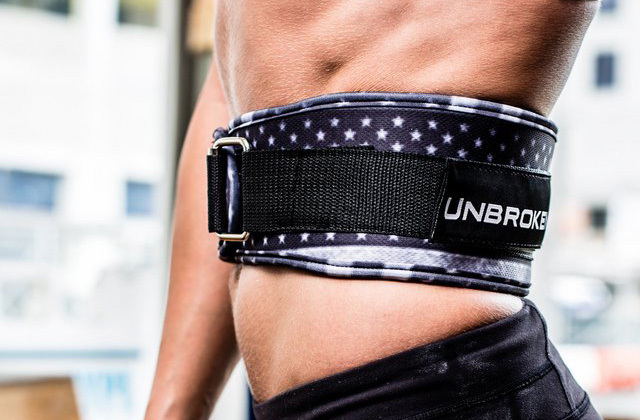 The back support offers 4 height settings for the most precise fit. Depending on a setting, the backrest can provide a more relaxing lean-back position or an additional lumbar support further encouraging your straight posture. Once out of the box, inflate the ball to 20.5” or 21.7”, insert it into the frame and enjoy your new functional seat! To sum up, if you need a healthier, yet not less comfortable, alternative to your regular chair, this model is one of the best options to go for. If you have a desk job and are bound to sit about 8 hours a day, you know firsthand about fatigued back, strained neck, and aching shoulders. No matter how comfortable and supportive your office chair is claimed to be, you still tend to slouch, fidget, and cross your legs under the table, all of this causing posture problems. Looking for a solution to sit in comfort and in a proper position? If so, turn your eyes to the LuxFit Premium ball chair. As the name suggests, first of all, you’ll get a fairly comfortable chair to sit on. A rigid frame with 4 casters and a backrest provides a secure support to the ball and a proper support to your neck if you need to lean back from time to time. A ball made of wear and tear resistant extra dense PVC material and fixed in the base with a metal holder will create a soft yet supportive sit. Owing to rubberized wheels with two lockable back casters, the whole construction will stand stable on any surface, be it wooden, vinyl, stone, or tile floors. Meanwhile, it is easy is fully portable and easy to push to where you need. In addition to a functional sit, you’ll get an efficient training tool that will help you develop healthy sitting habits. The ball will make you sit with you legs wide open preventing you from crossing legs. Since there are no armrests your arms and shoulders will stay free and relaxed eliminating lower and upper back strain. On top of that, a bouncy ball forces you to keep balance and constantly engages your back muscles to hold correct posture. Finally, you can take out the ball and use it for training at home. In brief, the LuxFit Premium is a simple and pretty much affordable way to maintain your spine health and even avoid varicose veins. 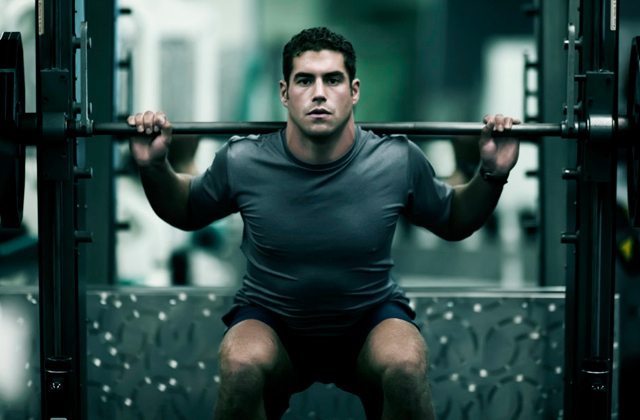 If you have to sit at a desk for hours, take advantage of this time and perform exercises right while working! 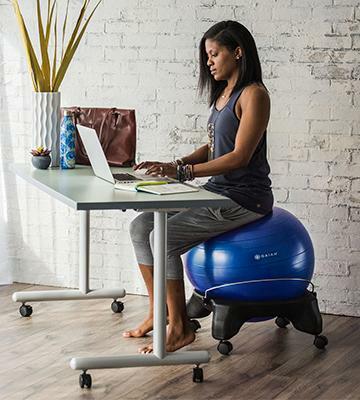 With the Gaiam Balance Ball Chair, you’ll be able not only to minimize a negative impact of extended sitting but also build a stronger, healthier back. Sitting on an exercise ball chair allows acquiring a habit to sit straight, otherwise, you won’t be able to keep balance on a ball. Besides, you’ll have to engage your abdominal muscles, easing your back and reinforcing your posture. 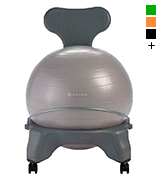 Created by leading health and fitness experts, the Gaiam balance ball chair strengthens the core and aligns the spine. The patented design with a small curved back support promotes correct posture and improves blood circulation. Once you feel tired, you can lean against the backrest to get some rest and relax. A rubber ball is fixed in place by a metal holder, ensuring stability when you sit in the chair. 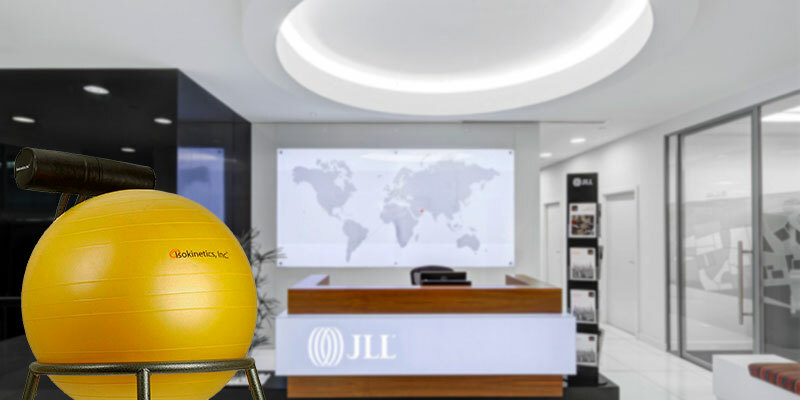 It’s worth saying that the ball is removable and can be used as a traditional exercise ball for strength training in a gym or at home. In case of ball puncture or rupture, the ball will slowly deflate without bursting, thanks to a special technology. This immaculate option contributes to the ball’s usability and safety. Offered in a range of base and ball colors, this innovative chair will perfectly fit into any room interior, be it your home, office or even school. The Gaiam yoga ball chair is designed to alleviate discomforting pains in your lower back, arms, and legs, promote proper spinal alignment and improve your overall well-being. 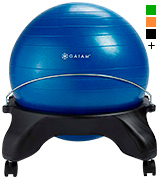 Join the world of active sitting with the Gaiam balance ball chair! Choose the right light source to read, write or work at your desk. LED desk lamps are the best option to make working at your desk safe and comfortable. 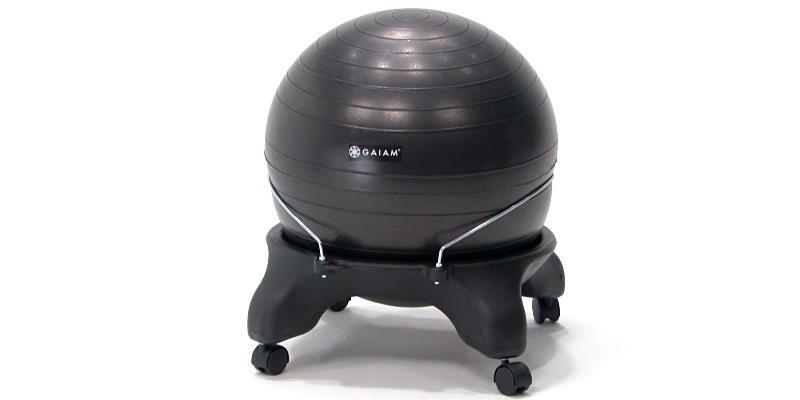 A reputable and well-known manufacturer of yoga products, Gaiam offers a backless version of its top-rated balance ball chair. 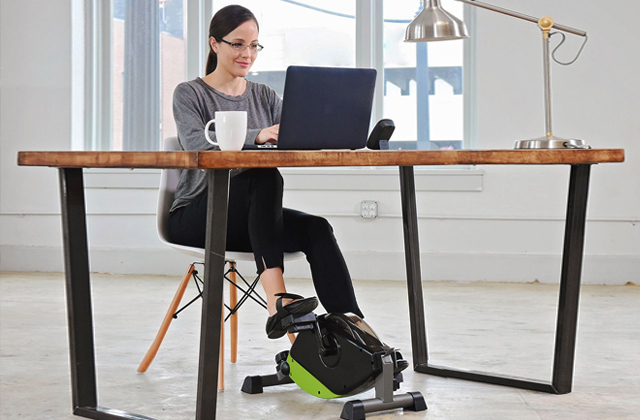 This model is designed for those who wish to exercise even when sitting at a desk. Impossible? Not at all! Securely fixed on a base with two durable metal holders, the ball will never shift and, along with easy-glide lockable casters, ensuring great stability and flawless comfort. Meanwhile, a backless design means your core muscles will be constantly strained to keep your body upright. 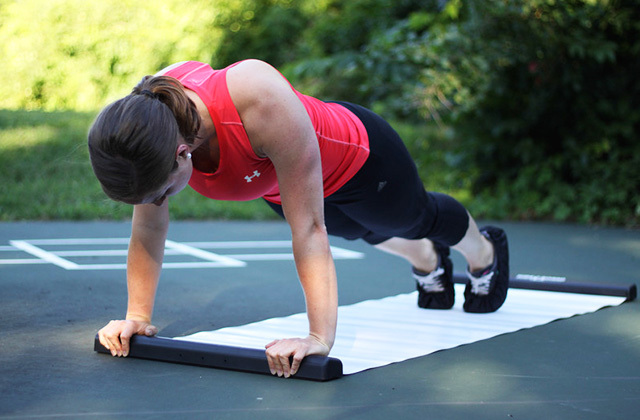 It will help you not only work on your body and keep fit but also improve coordination and sense of balance. With a 20.5” balance ball, this chair is perfect for people from 5’ to 5’11” tall. You can adjust the chair height by changing the ball diameter. 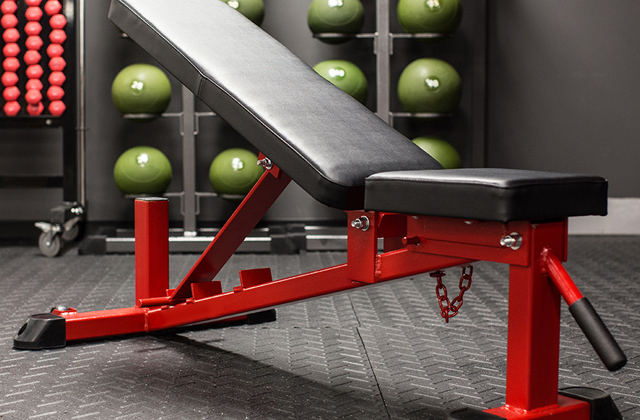 Whether you use the chair to sit on when working or take the ball out for a full-scale workout, it will make you move and train your muscles anyway. If you are a keen healthy lifestyle follower practicing yoga, our latest review on yoga mats will help you find a decent item for your exercises. 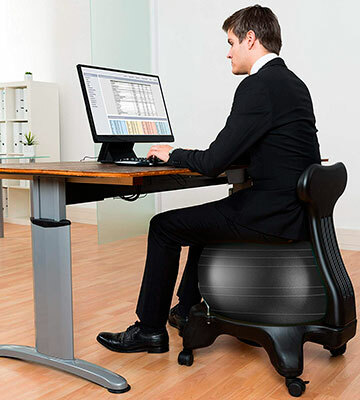 With the Exercise Ball Chair from CalCore at hand, you don’t have to choose between work and exercising. Now you can combine these equally important activities without leaving your home or office. By replacing your normal office chair with this stability ball, you can turn an ordinary sitting into an efficient workout. Great for overall fitness, this ball offers far healthier sitting experience. You will engage a number of different muscles to keep the ball in place and avoid rolling out. The maximum ball diameter of 33.5” is ideal for comfortable sitting. Yet, if you want to increase the pressure on your muscles and use the ball for strength training, simply inflate it only up to 27.5”. With an included rapid action hand pump, you are free to inflate your fitness ball without any difficulties in mere seconds. 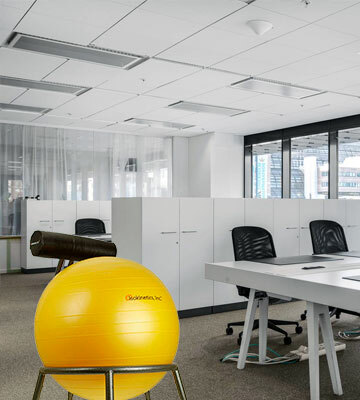 The CalCore Swiss ball chair is a great option for both those who don’t usually work out and for all active lifestyle followers who have to sit a lot at work. In a breeze, you can burn calories, improve your energy levels, and enhance your body when sitting. Spend 5-10 minutes a day on simple balance or strength exercises on a ball, and in less than a month you’ll notice visible improvements on core strength and posture. For your convenience and stability, this excellent stability ball features a textured non-slip finish. Though it looks simple, the CalCore balance ball offers impressive versatility. It’s a decent and healthy alternative to your regular office chair. If you dream of having a perfect 6-pack ab, start your exercises today with one of the ab wheels from our review. Let your dreams come true! 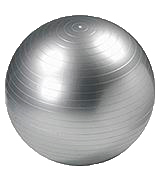 A balance ball, also known as a Swiss ball, Yoga ball or stability ball is a piece of exercise equipment. 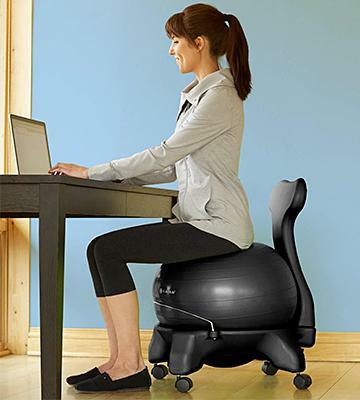 Balance ball chairs are elaborately designed to combine the comfort of a convenient office chair with health benefits of sitting on an exercise ball. Commonly, a stability ball chair consists of a balance ball integrated into a frame with a backrest (optional) and caster wheels for moving around your home or office. The design is very simple, yet extremely functional and efficient. You can select the combo to your liking and needs. If you wish to move while you are sitting, choose a minimalistic frame with a ball inside. Meanwhile, if you wish to enjoy comfort and need support for your spine, select the chair with an ergonomic backrest and armrests. Today, balance ball chairs are increasingly popular, thanks to their undoubted health improvement potential. Replacing your regular office chair with an exercise ball chair, at least for several hours per day, will help you keep your spine aligned, promote better posture, strengthen core abdominal muscles, relieve pain in your lower back, and prevent swelling. Such an incredible effect is achieved due to micro movements you make to keep balance. As a result, it will enhance the blood circulation and delicately train your muscles, reducing the impact of a sedentary lifestyle. 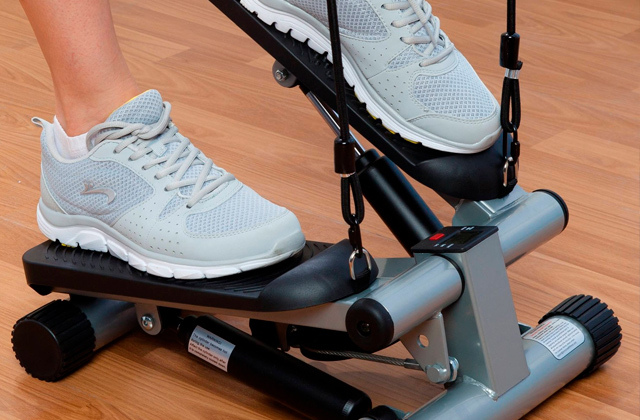 With a balance ball chair at hand, fitness is always at your fingertips. 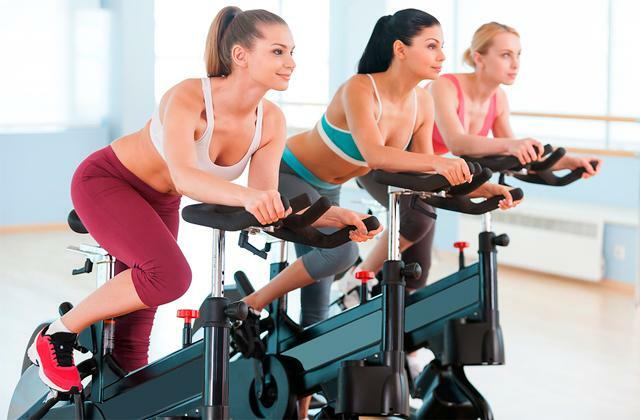 To relax stiff and strained muscles after intensive workouts, use massagers or foam rollers. 1. Alexis Jenkins Pros & Cons of Sitting on a Stability Ball, LIVESTRONG. December 18, 2013. 2. 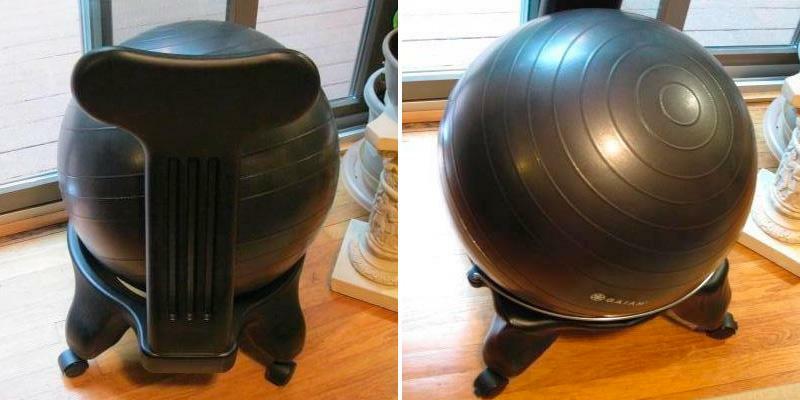 How to Use an Exercise Ball As a Chair, wikiHow. 3. 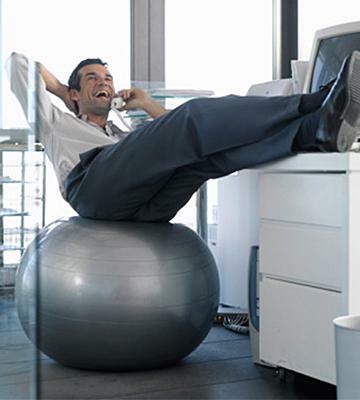 Kathleen Trotter Will I get fitter if I sit on an exercise ball at work? Globe and Mail . January 30, 2014. 4. Linda Melone Should You Swap Your Chair For An Exercise Ball? Prevention. January 16, 2014. 5. Susi May Get More Out of Your Workouts With an Exercise Ball, Popsugar. February 4, 2015.